Time for a mid-week treat! The whole family will love this creamy comfort food. 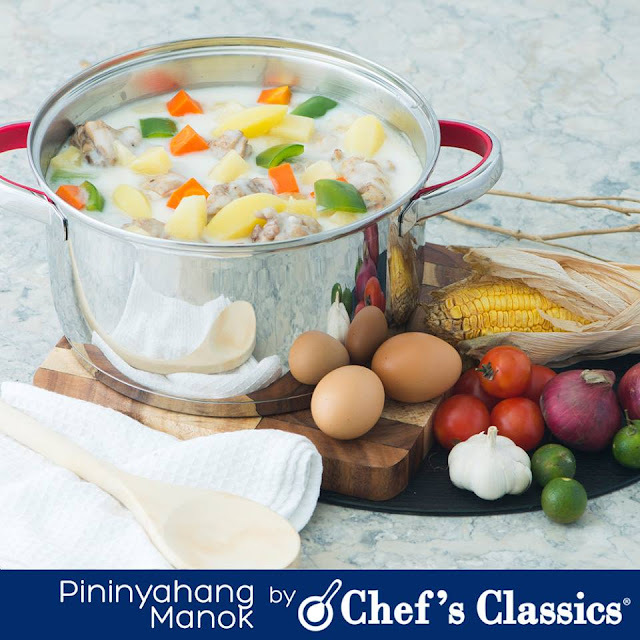 Get ready to serve delicious pininyahang manok. Mm-mmm! Yummy comfort food? Yes, please! 1. Heat oil in a Chefs' Classics Ashley Casserole. Saute onion and garlic. 2. Add the chicken, and cook until slightly brown. 3. Add and cook the potatoes, carrots and water for 10 minutes. 4. Mix in the bell peppers and pineapple tidbits. Let it simmer until the chicken and potatoes are tender and the sauce has thickened. 6. Season with salt and pepper to taste. Enjoy!